Mission Internationals Burundi team are all back home again after what may be considered the most effective team ever. The team of 15 people young and old were well received as they served the people in various centres around the country. Teams organiser and assistant leader, John Southwick, preaches to a large group of people in Ruziba as part of the experience. To see a more detailed report click here. 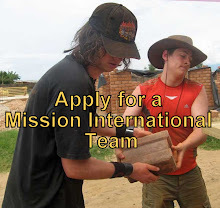 To apply for a place on a Mission International Team click here. Burundi Team 2009 sets off! 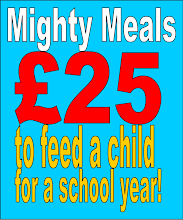 A 15 strong mission team from Scotland will set off for Burundi on 14th July for a few weeks. 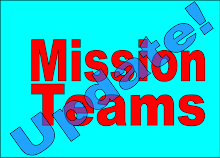 If you would like to follow the progress of the team then please click on the 'Mission Team Update' link on the right hand column of this page. The team has medical and dental tea members as well as those who will get involved in evangelism and church teaching, training and support activities. As you will see from this blog, and the other blogs specific to the projects we are supporting, there is always a need for funding to start, develop and sustain projects until they become established and self sustaining. One way that you can be involved in this work with us is to join or start a local 'Ambassadors for the Poor' group in your area. You may already have some good ideas for fundraising or maybe you would like some suggestions and ideas for getting started, whatever your situation we are here to help. 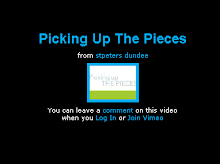 To have a look at what folks have already achieved then the 'Ambassadors for the poor blog is a good place to start, please click here. Pastor Leonard Tuyishimire has, in a quest to make the Hope Centre more sustainable, begun a small garden project. The photos below show seeds being sown and protected from the sun. 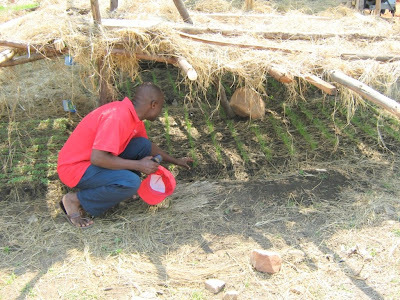 Young seedlings are protected by a grass covered shade to protect them, once they become established the shade will be removed and when the seedlings are strong enough they will be planted out and in turn will provide food for the family and a source of income as well. To support the Hope Centre Burundi financially please use the options on the right column of this page. Friends and supporters of have recently sent funds to Pakistan via Mission International to help Christians who have been left destitute due to the brutality of fundamentalists who have destroyed their homes, abused and killed their people and left them in dire circumstances, requiring medical aid, housing and food. 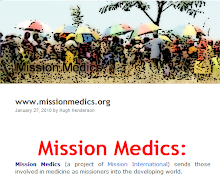 Parental Care Ministries Child Sponsorship: Mission International has now begun a child sponsorship scheme with Parental Care Ministries in Mbarara in Uganda. The staff and pupils of Parental Care School were delighted recently during an inter-school sports day to discover that the school had won most of the events against much stronger opposition.